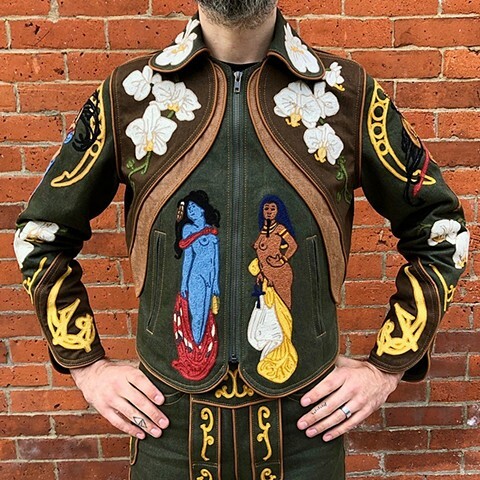 Green Denim Art Nouveau Suit with custom chainstitch embroidery of 9 intersex or dual gender gods from around the world. Inspired by the illustrations of Alphonse Mucha; accented with white orchids. Jacket design based on East West Musical Instruments’ “Parrot” jacket with matching lederhosen.